Although Amy went on to obtain degrees in psychology and biology, the lessons on capitalism in "Atlas Shrugged" made their mark on a budding entrepreneur. 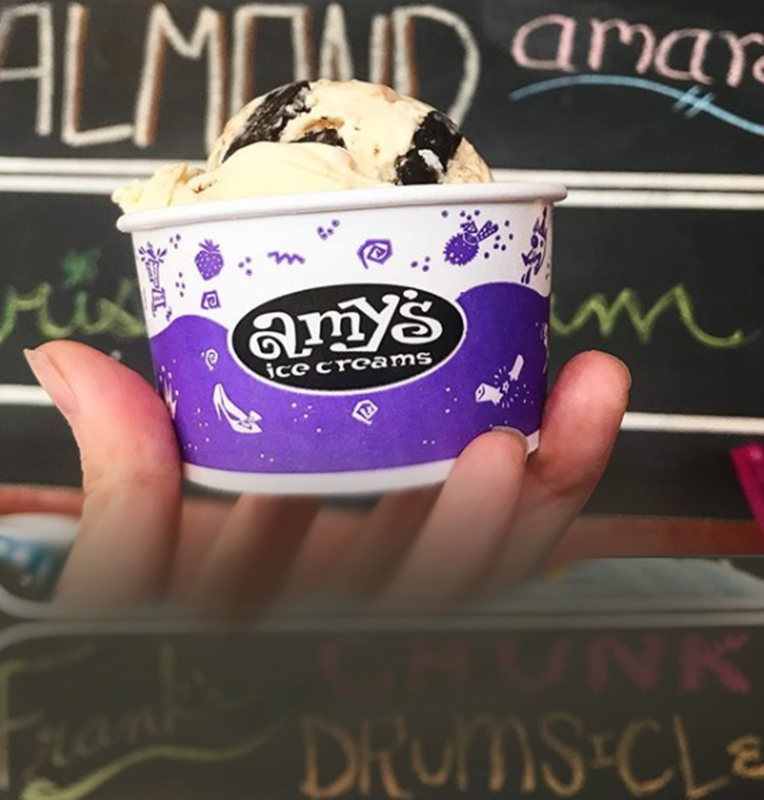 Over the last 30-plus years, Simmons has developed and expanded the Amy's Ice Cream operation to 15 stores in Austin, San Antonio and Houston with the motto "Life Is Uncertain, Eat Dessert First." Recently, she added Phil's Ice House and Honey's Pizza to the family. Simmons is a tireless champion of community businesses, employee education and charity. Oh, and she is a mother of three. I am convinced she never sleeps. To say that Amy's Ice Cream is unusual is quite the understatement. It is silly and off-the-wall - as if "Atlas Shrugged" merged with Willy Wonka to create this wonderful incubator of fun, flavor, education and even financial acumen. Job applicants know immediately that Amy's is different. The application is simply a white paper bag on which candidates are encouraged to be as creative and unique as possible. Simmons has observed there is more to be learned from this process than filling out a traditional form. For the past 12 summers, Amy's Ice Cream has hosted a "Trick Olympics," in which the best trick shots hurling scoops of ice cream are celebrated. As is so often the case, the Trick Olympics are just another avenue to support a wide variety of community and charitable endeavors. In a world obsessed with fast-paced precision and automation, Simmons has created an environment predicated on getting people to slow down, relax and have a conversation. Her employees, or "scoops" as they're known, are tasked with one job: "Make someone's day." However, this story is about more than silliness and feel-good treats. Simmons, of Scottish descent, is the first to declare the importance of saving money and being fiscally conservative. Because of this, when she opened her first store in 1984, she borrowed no money. Additionally, she is incredibly gifted at creatively intermixing the fun of making peoples' day with solid business skills. Simmons is a big promoter of Jack Stack's The Great Game of Business. Stack recognized the need to educate employees on how a business makes money - from gross revenue to cost of goods sold down to the bottom line. It is not enough to "just do your job." Stack realized if employees understood how the entire entrepreneurial cycle worked, they would better understand business fundamentals. This would ultimately create a stronger, more vibrant entity with better job stability and upward mobility for all concerned. This program has made the ice cream enterprise a well-run organization while providing lifelong skills to Simmons' employees - no matter where they have gone in life. Not only does each employee know the key ingredients to producing profit, but each gets a turn at "being the boss" for their location. As such, employees learn financial management and leadership skills as well. Simmons also understands shareholder returns should not be vilified, as is often the case these days. Rather, there is a never-ending quest for balance. Given this, Simmons preaches the need to serve all stakeholders. For an organization to be truly long-lasting, it must strike a healthy harmony in which employees, suppliers, customers and shareholders all benefit. As Simmons continued, she admitted her entrepreneurial endeavors have often required working 80 hours per week - but added it was a blast. Furthermore, where others saw obstacles and excuses, Simmons just saw problems needing to be solved. It is merely a puzzle. Not surprisingly, she also offered that her people are her most valuable resource and that the culture you create is incredibly important. As such, Amy's Ice Cream has become a meeting place where people develop a strong work ethic and are part of a team. In doing so, Amy's team realizes that ice cream is merely a vehicle to make peoples' day and that success is not a dollar figure, but rather the ability to positively impact those around you. Dave Sather is a Certified Financial Planner and owner of Sather Financial Group. His column, Money Matters, publishes every other week. A special "thank you" and "good work" goes to Amy's Ice Creams for implementing Jack Stack's The Great Game of Business full on and sharing your success with the business world!